Haulage trucks at the Brucutu mine will go autonomous in 2019, after six years of research into the viability of the project returned positive economics. 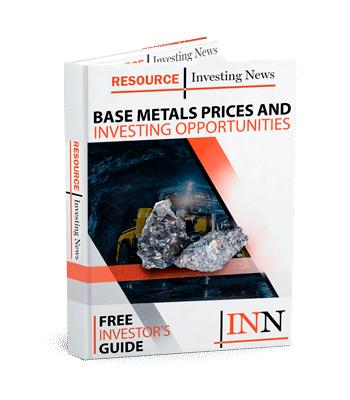 Diversified miner Vale (NYSE:VALE) has announced that its Brucutu iron mine in Minas Gerais will be ‘manned’ by autonomous hauling trucks by the end of next year. In a Wednesday (September 12) release, the company detailed plans to transition the hauling fleet at Brucutu away from ‘traditionally operated vehicles’ to become fully autonomous. Currently, seven autonomous trucks are in operation at the mine, using computer systems, GPS, radars and artificial intelligence to move cargo from the mining front and the unloading area for processing. “When the entire fleet is replaced by trucks with the new technology, in early 2019, Brucutu will be the first mine to operate autonomously in Brazil,” said Vale, which added that it has multiple advantages to human operation based on six years of research. The company said that autonomous haulage has ‘higher productivity’, as removing humans from the equation increases the equipment lifespan by 15 percent, decreases fuel consumption and maintenance costs by 10 percent and even allows the trucks to move faster, while moving its current employees further away from dangerous operations. With lower maintenance costs, faster production, reduced fuel consumption and higher safety, Vale said it was a no-brainer. Vale’s Ferrous Planning and Development Director, Lúcio Cavalli, said that Vale going in an autonomous direction wasn’t just a mining trend. Like the situation with Rio Tinto’s (ASX:RIO,NYSE:RIO,LSE:RIO) autonomous trains, Vale said that autonomous operations presented more opportunities to existing employees, as they were free to find other work within the company, while the new arrangement required other new employees to supervise the autonomous trucks (but from a distance). “Brucutu’s equipment operators were moved to other functions in the mine itself or other Vale units in the region. Part of the team was used in the management and control of autonomous equipment, after having undergone training courses, which can last up to two years. “With greater use of autonomous equipment Vale is likely to create more opportunities for highly qualified professionals in the technical and engineering areas of automation, robotics and information technology in the operational areas,” it said. With Brucutu going autonomous with its haulage fleet, Cavelli said that the company would be monitoring how everything works out while it considers rolling out autonomous trucks to the rest of its operations — like its S11D Eliezer Batista complex in Pará state, which Vale touts as the largest single mining complex in its history. As of 3:00 p.m. EST on Wednesday, shares of Vale were up 2.44 percent on the NYSE, trading at US$13.